Our Camping Pods are available for those who wish to experience the great outdoors in comfort, otherwise known as glamping. 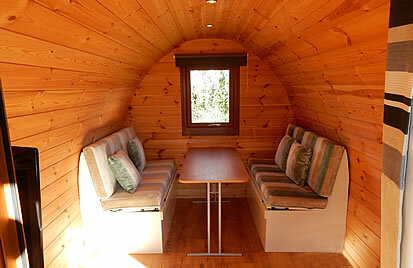 Book one of our camping pods and you get a nice dry place that is heated for the great British Summer! A lovely soft double bed at night and a TV so your reluctant other half will not miss their favourite programmes. It is great for men as they all love a shed and great for the children as they love a den, and for the ladies well it goes without saying if the kids and other half are happy you are going to get 5 minutes to yourself. No taking down wet tents and drying before storing. No wind whip or flapping to keep you awake. No waking with the early dawns of the long days of summer. A decking area for eating, sunbathing and chilling out. Outside storage box for wet gear. Parking next to your pod. Electric included in the price. 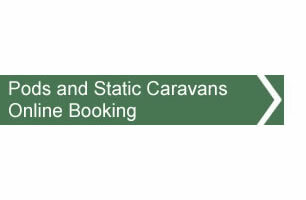 Affordable accommodation in a truly stunning location.